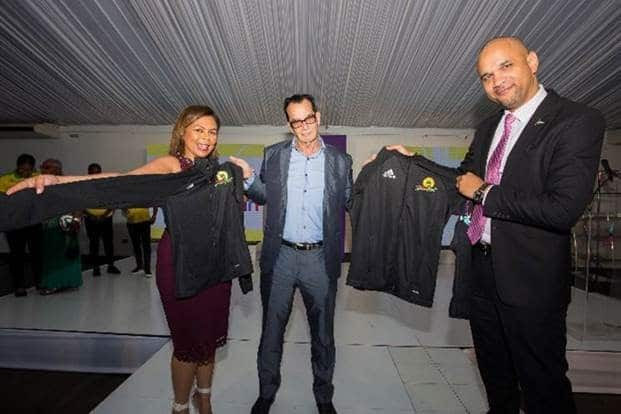 KINGSTON, Jamaica – Caribbean Airlines is strengthening its partnerships in Jamaica, and is now the Official Airline of the Reggae Girlz and the presenting sponsor of Reggae SumFest. For the next two years Caribbean Airlines will be the presenting sponsor for “Reggae SumFest”. As an authentic Caribbean air carrier that is proudly owned by the people of Jamaica and Trinidad and Tobago, this union represents a natural partnership of two of the region’s leading brands. Reggae Sum Fest is the largest concert festival in Jamaica and Caribbean Airlines is the leading airline serving Jamaica and the Caribbean. We are proud to bring over 485,000 travellers to and from Jamaica annually. Caribbean Airline CEO, Garvin Medera (R) and Senior Marketing Manager, Alicia Cabrera (L) with Josef Bogdanovich of Reggae SumFest. This collaboration with Reggae SumFest is a significant milestone for Caribbean Airlines deepening our partnerships within Jamaica and throughout the region. Caribbean Airlines is thrilled and feels privileged to be the Official Airline of the Reggae Girlz who created history by becoming the first Caribbean Team to reach the FIFA Women’s World Cup. This accomplishment was no small feat! Like Caribbean Airlines, the Reggae Girlz faced challenges but worked tenaciously to turn things around to deliver this historic result. 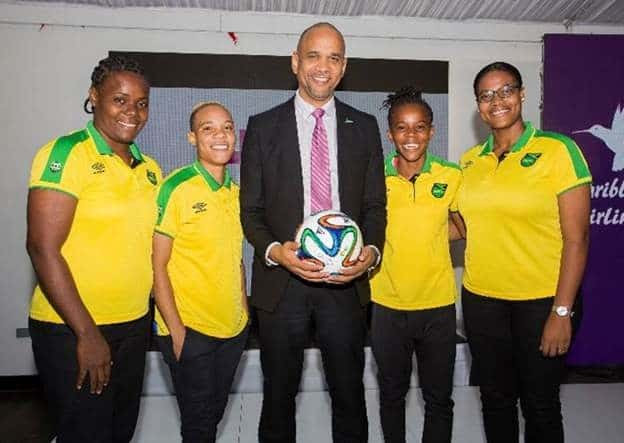 Caribbean Airlines CEO, Garvin Medera and members of the Senior Reggae Girlz football team. Through this and other partnerships, Caribbean Airlines will strengthen our relationships within Jamaica and the region as a whole. Caribbean Airlines does not take lightly its role as the leading air carrier serving the Caribbean and the critical part we play in supporting the communities we serve. We are behind the Reggae Girlz 100% and will support them on their journey to a successful World Cup next year!